In November, we were lucky enough to be invited to Bluestone National Park Resort in Pembrokeshire to join them for the winter season. Perhaps I should say, we were invited to the Kingdom Of The Elves as Bluestone takes on a whole different persona in the winter, and some very special visitors play host to the guests that are staying there. 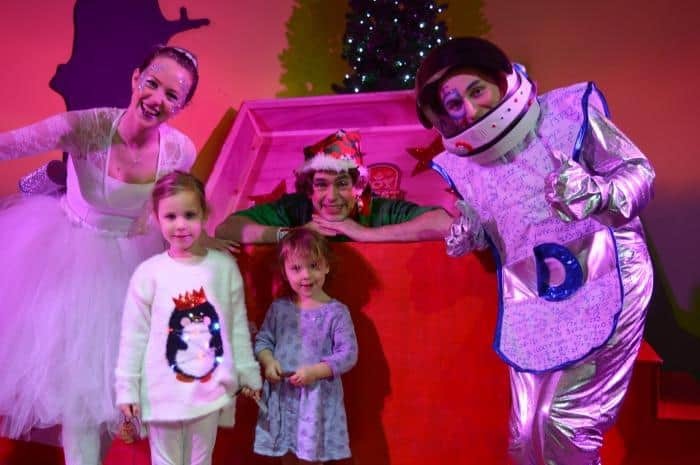 The elves, along with Santa Claus, take up residence at Bluestone, turning it into a magical festive bonanza of Christmas fun and activities, for the whole family to enjoy. 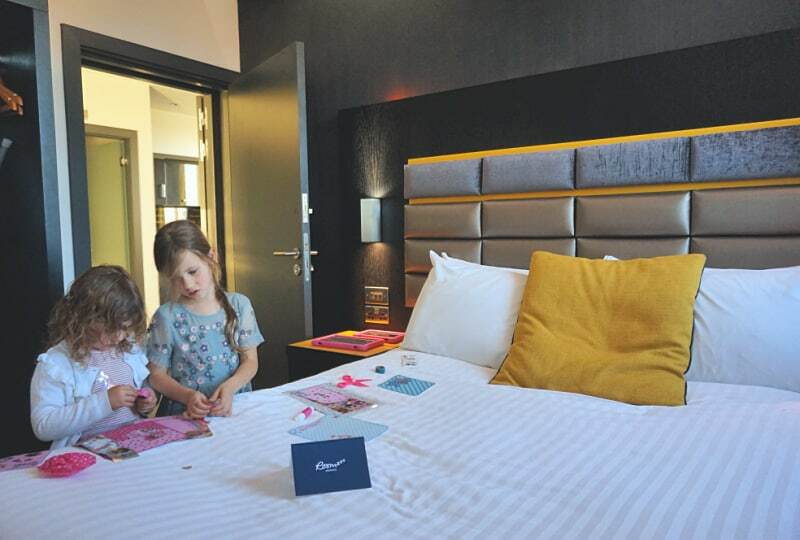 The two girls and I were lucky enough to stay at Bluestone earlier in the year, so when they found out they were going to be going back so soon, they got really excited. 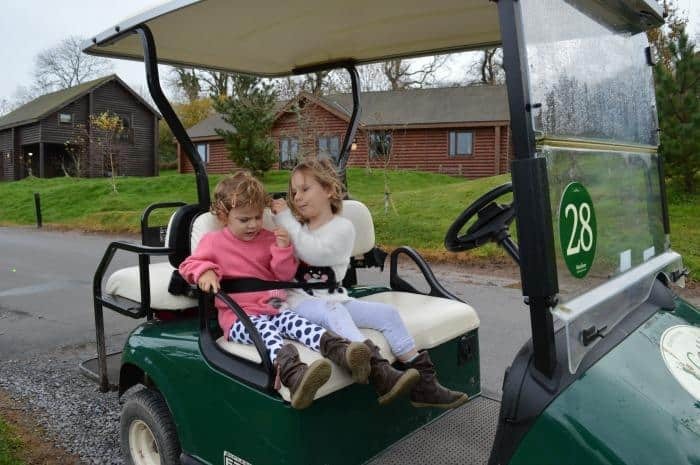 Their first holiday had created some lasting memories for them, which I think is a real testament to Bluestone and just how great their holidays are. This time round, Daddy was going to be joining us, so we were also really excited to be sharing what a holiday is like at Bluestone with him. I was convinced he would enjoy spending time here as a family, for lots of reasons, including that he didn’t have to fly! As you might already know, he’s not a keen flyer. 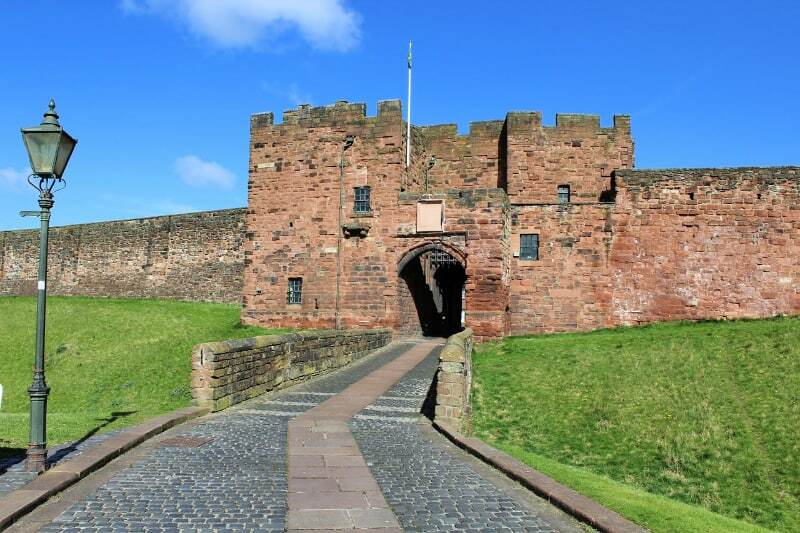 Before we left for Bluestone, I booked a few holiday extras for us to make sure we had a great experience. The essential item for us is hiring the golf buggy. I find having this at our disposal completely invaluable. The girls love riding around in it, and we don’t get any ‘my legs are tired’ or ‘can you pick me up’ kind of conversations. It gives us the ability to easily get around the site and to the different activities with happy children and happy parents. If you are wanting a relaxed, easy holiday with the family, I really can’t recommend the buggy hire enough. We arrived at Bluestone at lunchtime, so we headed straight to the Adventure Centre for some lunch at the Wildwood Cafe and a play in the indoor fun zone. The place was looking really festive, and there was a lovely holiday atmosphere already in full swing. I knew this was going to be a good visit from the moment we checked in. We could get into our lodge at 4.30pm, but Bluestone do offer earlier slots if you wish to upgrade. One of the things that I think Bluestone do really well is the accommodation. We were staying in a Caldey Lodge, which is like a 2 bedroom bungalow. We were located on Preseli View and enjoyed some beautiful views of the Pembrokeshire countryside from our accommodation. 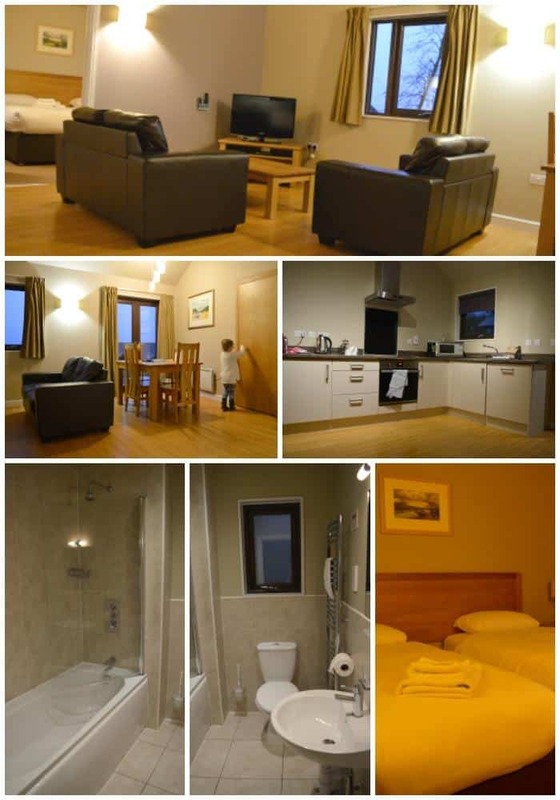 The Caldey Lodge is really spacious, with a large living area comprising of 2 leather sofas, with TV and coffee table. There’s also a dining table and open plan kitchen with all the essentials, including a dishwasher! When we were in the lodge, there was plenty of space for the children to play. At one point I put a play mat down with paints and they were able to have a craft session without getting in anyones way. Another thing worth mentioning is the lodge got toasty warm, so a winter stay here is really comfortable, especially when you have children. On the first night, we went to the Elf Welcome Party, which was a lot of fun. The marquee was full of very excited children and a lot of Christmas jumpers. In fact, the marquee was so beautiful that I decided to run my own event for the next month. I consulted with Crest Marquees, a leading Marquee Hire in Birmingham firm to get a price list – and it was sorted – my event was official. I took further ideas from the event to incorporate into my own event. There was a lot of singing, games and elfing around and the kids loved it. Bingo! An outside event, with marquee hire, made for my children and my friends children! Everyday during our holiday at Bluestone Kingdom of the Elves, there were free activities to join in and the girls loved all of them to be honest. We would pop down into the village for the Christmas Countdown at 10.30, and the kids could win prizes playing silly games. In the evening there was a Christmas light show in the village, followed by a children’s hour, with more elfy goofiness. The children got a lot out of these activities, and really enjoyed joining in and getting Mum and Dad up for a dance. We may have heard the same elf joke more than once, but it really didn’t matter as the kids were having so much fun. There were 2 free activities for children every day, and we were also booked in to the Kingdom Of The Elves activity during our stay, which is included in the break. The Kingdom of the Elves really did appeal to the kids, and was very well thought out. We went to our time slot, and met the elves for a briefing about helping them to find Rudolf. 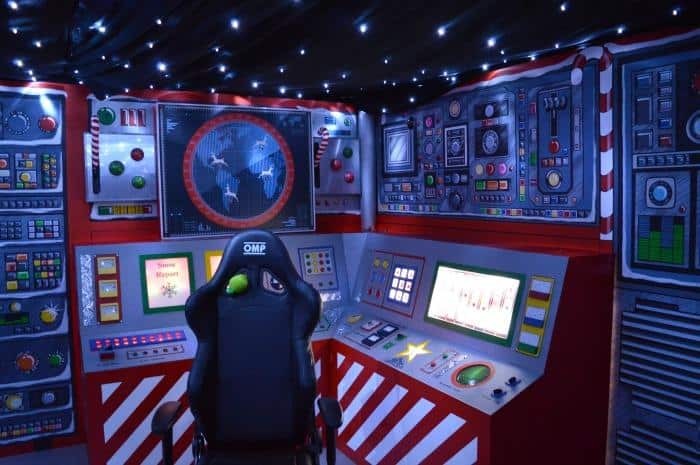 Each section of the ‘trip’ was very well decorated and brought the experience to life for the children, from visiting the control room, to playing games in Rudolf’s barn, to climbing the snowy mountain. Each child was given a elf cape and Rudolf tracker to help get them into the spirit of things, which was also a big hit. 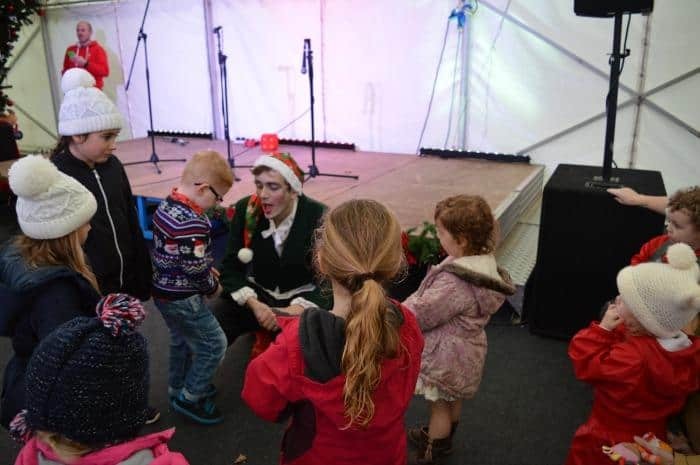 Bluestone also provide a number of paid activities during the course of your stay including a visit to Santa and a pantomime, which was Aladdin this year. We decided to go to The Toy Chest, which was an elf performance, accompanied by a breakfast buffet at the Wildwood Cafe. One of the other highlights was visiting the Frost Lagoon. This is the Blue Lagoon pool, but with a touch of Jack Frost added to it and guests can have unlimited access during their stay. The girls loved being in the pool, so this really appealed to them. The 4 year old was a big fan of the wave machine, and loved being right in the thick of it, balanced on a piece of floating ice, with Daddy braving the force of the waves. The toddler area is packed with toys and the two year old was quite happy exploring in there, much to this Mummy’s relief! 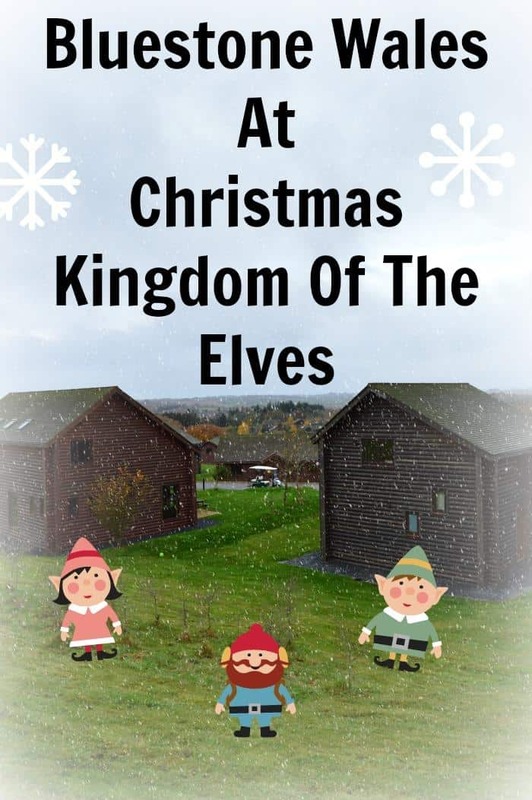 We really loved our stay at Bluestone Wales for The Kingdom of The Elves and would happily recommend this to anyone looking for a Christmas holiday for the family. 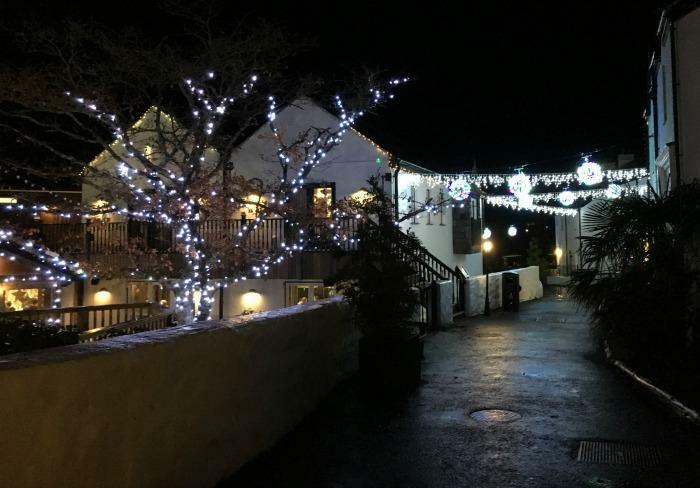 The weather in Pembrokeshire can be a tad unpredictable at this time of year, but I really wouldn’t let that put you off as there is enough going on at Bluestone to make sure it doesn’t put a dampener on your holiday spirits. To be honest, we did’t leave the resort for the whole stay, and still had an amazing family holiday together. Even Daddy managed to relax, which he often finds a challenge, but having great entertainment and things to do for this kids throughout our holiday really helped out. 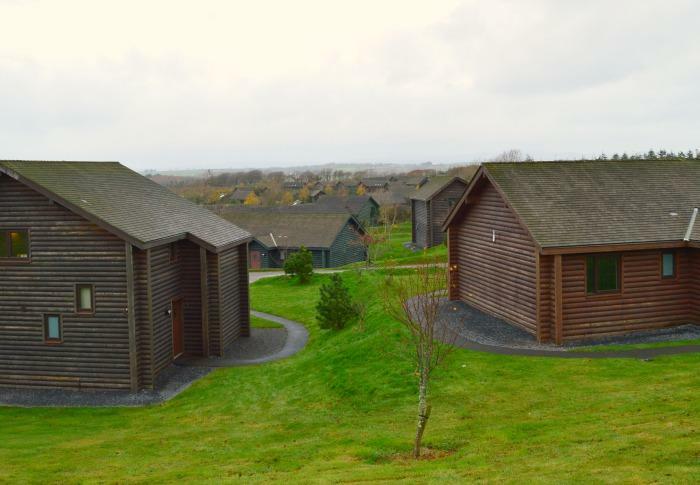 Have you been to Bluestone Wales? What was your experience like? We were provided with a mid week stay at Bluestone Wales during Kingdom of the Elves in exchange for this blog post, but all thoughts and opinions are our own. We purchased the buggy hire and The Toy Chest experience ourselves. 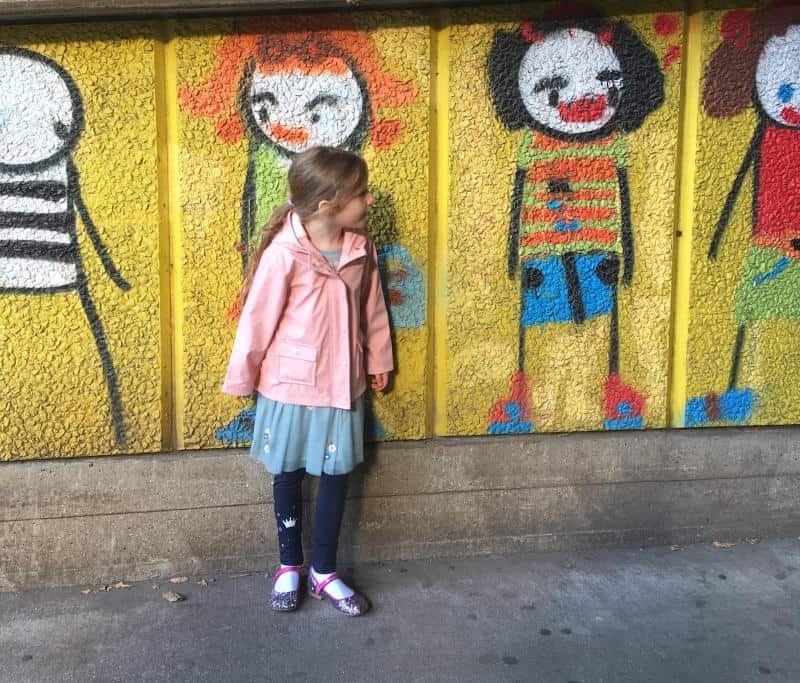 Read about how I’m inspiring my children to love travel here. I haven’t been, but it sounds brilliant; a resort with a more wintery theme isn’t something I’d thought of trying before. Thanks for reviewing it! 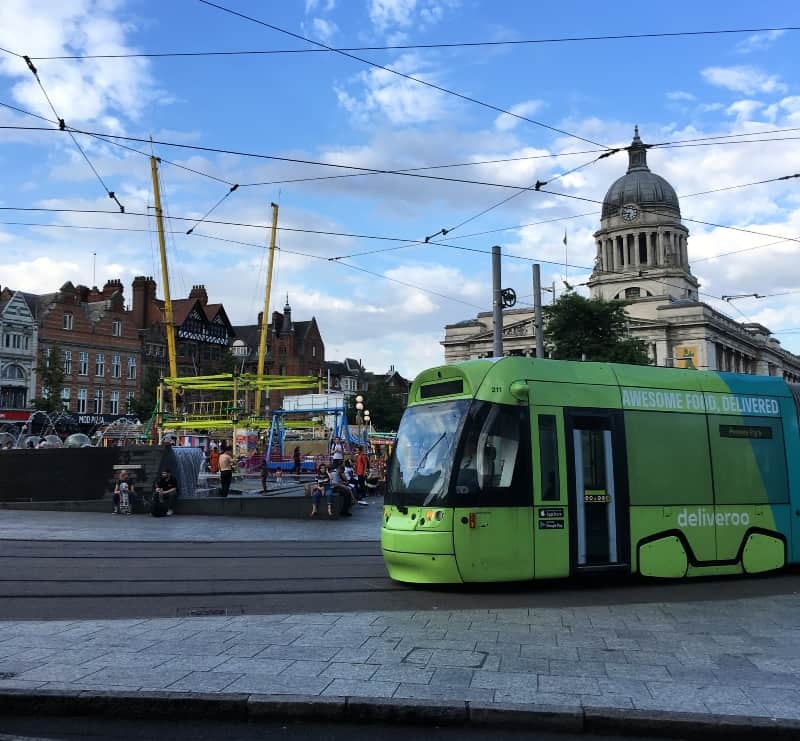 It does look like a lot of fun for the kids, and not too bad for the adults either! Looks like a wonderful experience! The Frost Lagoon sounds awesome!